Thank you to everyone who entered and voted in our contest. Also, we would like to thank those of you who also took the time to 'like' our three Facebook Pages. We really appreciate it. 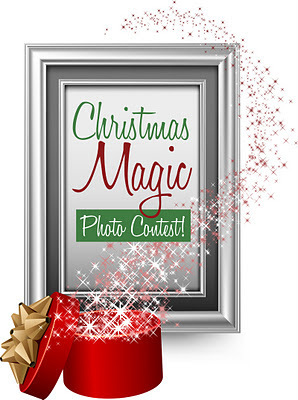 The winner of the contest is the photo that had the most 'likes' given to it. The total number of 'likes' was determined by adding up the 'likes' from each of our three pages. 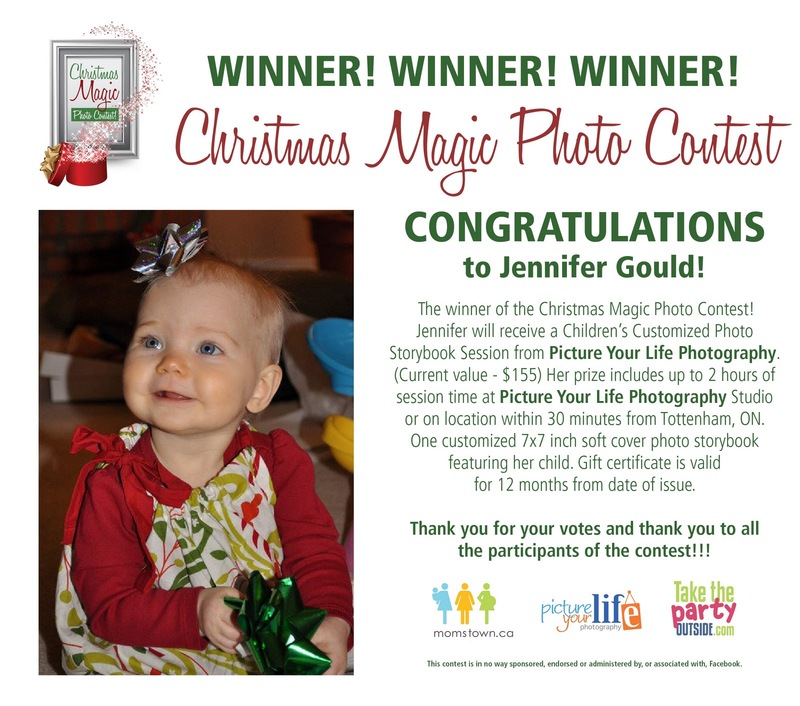 Congratulations Jennifer! I think I can remember playing with those bows when I was a kid too. They are great because of their stickiness! haha I must say, you have very dedicated voters. On the evening of January 18th, the Networking/Netweaving group I belong (WINGS & HEROS) to had our first little local vendor show in Tottenham. The event was held at Gigi's Green Beans Cafe. It was great to see what some of the other local companies do and sell. Thanks to everyone who came out to see us and to everyone involved in planning, organizing and promoting the event. Here's one of the photos I took that night. In the photo from left to right: Jennifer (owner of Gigi's), Trudy (WINGS coordinator in Bolton), Diane (Founder of WINGS and HEROS), Cheryl (Creative Lanes in Newmarket) and Yvonne (WINGS coordinator in training for Orangeville). Here are some peaks from the session last week. I am cute and I'm ready to do this! Well hello there good looking. Ummmm do I know you? Will you play with me? Hey! No smooching in the back. This is kind of how I felt once we were done too. I meant to do a blog post about the Tottenham Santa Claus Parade back at the end of December, but obviously that didn't happen! Growing up in a place smaller than Tottenham, the local parade was always something to look forward too. We didn't have a Santa Claus parade (too cold I think! ), but there was a Labour Day parade, and I can remember being in it doing Japanese dancing when I was a kid. So here it is, better late than never. :) I always take so many pictures, so it's always tough to narrow it down. Here are a few of the highlights. Ben is impatiently waiting for the parade to get down to where we were standing to watch...trying to avoid my camera. You can't have a parade without the bagpipes! Ben even got to shake some hands! And there she is......Jordan Clark! It must have been difficult to play in the cold. And here is the guest of honour. I snuck a shot in between floats of Ben waving to Santa. For Ben's 8th birthday, Party Safari came to the house. I was sooo lucky to have won a monthly giveaway that was put on by Take The Party Outside and Party Safari earlier last year. I was able to keep it a secret from Ben up until probably a couple of months before his birthday. Jennifer was awesome with the animals and the kids. I think they learned a lot about the animals as well as had fun too. Ben's decided that he doesn't really care for cake anymore, so instead we had fruit and ice cream. (except everyone was so busy, we ran out of time for the ice cream) These were from Fruity DeLites in Alliston. These next photos include most of the animals we saw during the party. Time for a break to stretch our legs and arms. Isn't this one a pretty colour? This turtle was pretty darn quick! This one was anxious to come out and see who was making all of the noise. The pinata this year was a pirate ship. That thing must have been made out of super duper strong cardboard because each kid had 3 hits with the blindfold on (with a baseball bat!). It sounded like the bat was hitting rock! Then I let Ben take some wacks at it without the blindfold and he finally cracked a small corner (you can see it in the photo below). Finally Paul really wacked it good and the candies fell to the floor. Thanks to everyone for being a part of a super fun birthday for Ben, especially to Jennifer and her very special animal family. He had such a blast. I'll include a few more different photos in my newsletter. PHOTO OF THE WEEK #27 - Everybody say it now......"Awwwwww"
The Photo of the Week from last week is from Ben's birthday party. My studio was taken over by Party Safari and we got to see awesome creatures like this one. Isn't it sooooo cute! Timbit is a Pygmy African Hedgehog. I can't remember if Timbit is a girl or a boy. At first, all you can see are the spikey parts. Then, as it got more comfortable, the eyes would peek out and then the entire face. And then eventually.....those little feet would poke out. Hedgehog yoga?? Thanks Jennifer for awesome party entertainment. What a fun day for the entire family.